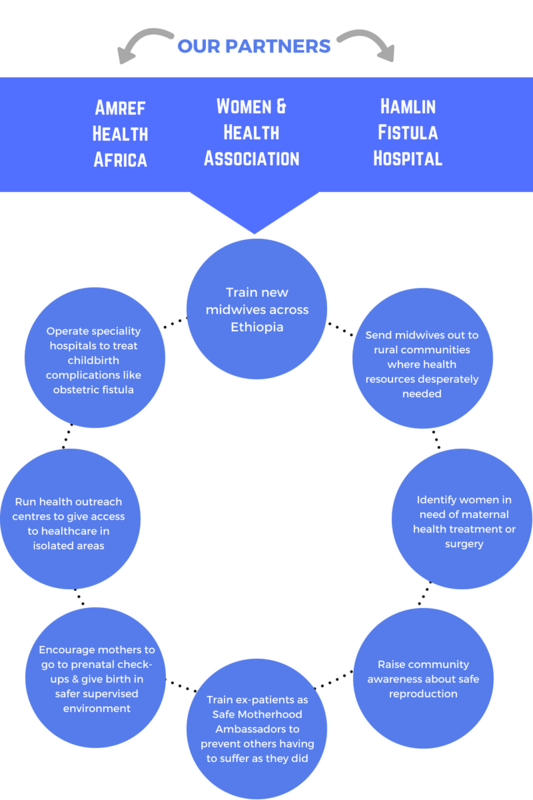 MIDWIVES & MOTHERHOOD AMBASSADORS: Who are they? What do they do? And why are they needed? Both midwives and safe motherhood ambassadors give women the support, care and advice they need during their pregnancy, labour and postnatal period. They work hand-in-one with one another. Safe Motherhood Ambassadors are trained in basic maternal health skills and will educate and encourage expectant mothers to give birth in maternity clinics, often referring mothers to a midwife. Midwives will monitor mothers for any health complications, particularly during labour, and are trained to treat any complications that occur. In a country where maternal health is devastatingly low, both midwives and motherhood ambassadors are essential for safe pregnancy and childbirth – especially in rural areas where health resources are few and far between. Across Ethiopia, only 16% of mothers are attended by a professional midwife or obstetrician, largely in urban areas. This has led to a high maternal mortality rate. It is a sad statistic that among mothers there are 420 deaths per 100,000 live births. And, among infants, there are 44 deaths per 1,000 live births. Field research has shown that midwives can prevent 87% of maternal mortality. 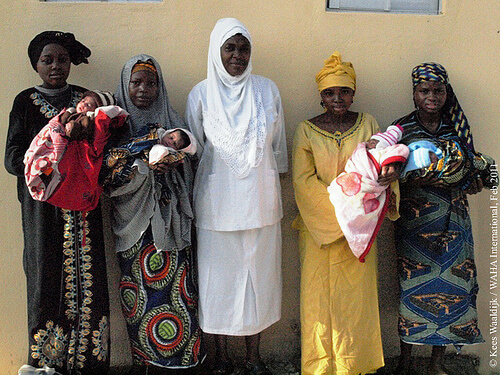 In fact, one midwife can provide care for 500 expectant mothers and safely deliver 100 newborns every year! Meanwhile, one Safe Motherhood Ambassador can reach hundreds of women with information on safe pregnancy and childbirth that they would not otherwise have access to. This is why the training of both midwives and ambassadors is so vitally important for the safety and care of mothers and their newborns. ACTION: What steps are being taken? Across our global Ethiopiaid offices, we work with different partners focused on spreading maternal health throughout Ethiopia. Tigist spent 2 long years living with obstetric fistula following the birth of her second child. Her labour lasted for days, and the prolonged pressure of the baby’s head caused a rupture to occur internally, resulting in incontinence. For 2 years she lived in shame with her condition, not knowing where to go for help or that help was even available. Through the awareness work of other midwives and ambassadors, Tigist became aware that she did not have to bear the shame of her condition – that she could receive treatment for it. Not only was Tigist able to receive a fistula-fixing operation through referral to the Gondar Fistula Centre, she also opted to be trained as an ambassador of maternal health through the Women & Health Association (WAHA). It has been 5 years since Tigist received her life-changing treatment and training as a maternal health ambassador. Since then, she has taught more than 900 women about maternal health, including information about HIV, staying safe during early pregnancy, and preventing and treating fistula. Her work has caused a ripple effect throughout her community and neighbouring district. She has brought 6 women living with fistula to the Gondar Fistula Centre where she herself received treatment. One of these women was only 9 years old. One of Tigist’s proudest memories was being able to help her neighbour; a woman who had been living with obstetric fistula for years, just like Tigist. 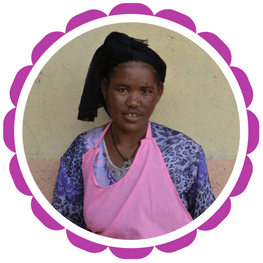 Thanks to Tigist, not only did her neighbour receive the treatment she needed, but she also was able to become self-employed following the surgery and live a life no longer dependent on others.